Azure Blob Storage is the essential foundation of most Azure services. It is important to understand how this service actually works, the types of storage resilience offered and how the service is charged. 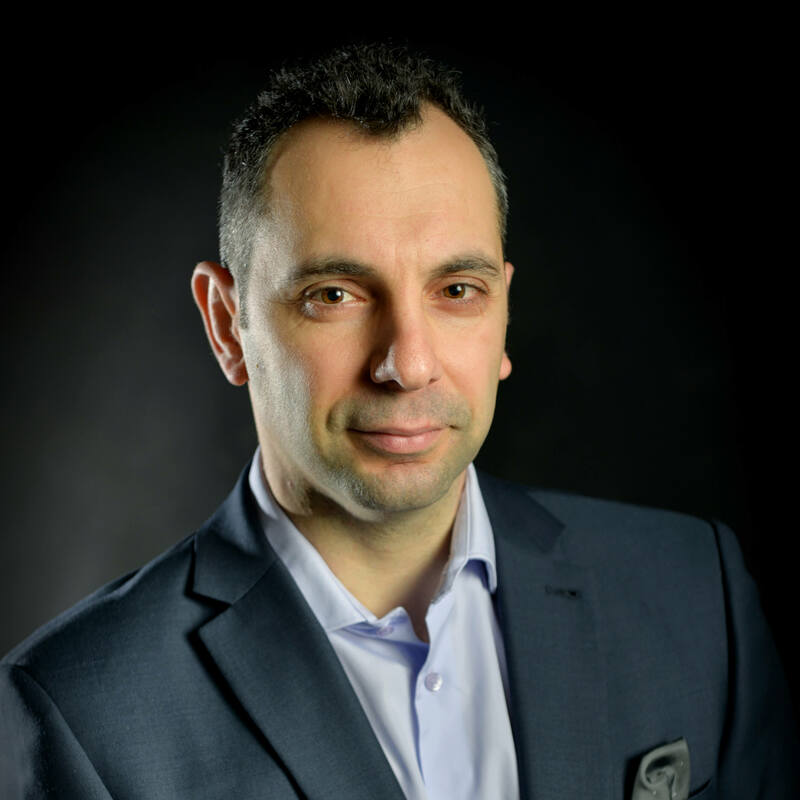 Christos Matskas gives an overview of one of the most important of all cloud services. Azure Storage is the foundation of the whole of Azure. Every service either runs directly on top of Azure Storage (VMs, PaaS Services) or relies on Azure Storage for many of its operations. With such an important role, it’s not surprise that Microsoft has invested a lot of time and effort to make this service as fast and resilient as possible while keeping the associated cost or running and maintaining the service ridiculously low. Azure Storage needs to be resilient and secure to allow business-critical workloads to run. Durability is achieved by using a combination of multiple copies and strong consistency: This system is at least as resilient as traditional RAID. Investment has also been made to make the hardware more resilient to drive and rack level failures. Any failure is transient to users and resolved faster than can be achieved with traditional on-premises enterprise storage. Data integrity protection is provided with full CRC and background scrubbing to prevent silent data corruption or bit rot. Users also have the option to enable geo-replicated storage which copies data across two distant geographical regions to achieve high data availability in case of a regional level disaster. Replication is carried out across data centers that are hundreds of miles apart. Finally, Azure Storage was built with security as a priority, and users have a variety of options ranging from encryption at rest to easy client side encryption and key management using Azure Key Vault. All three cloud platforms (Infrastructure, Platform, and Software) rely on Azure Storage. 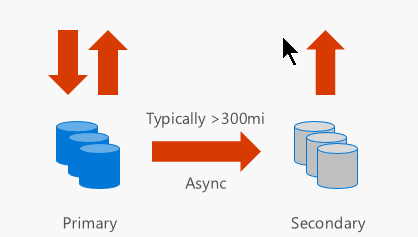 This article will provide a deep dive into the details of Azure Blob Storage. Blob Storage Service caters for object storage that can be used to store and serve unstructured data. This data can range from App and Web data to images, files, Big Data from IoT and, of course, backups and archives. The service allows the Azure user to store Petabytes of data with strong consistency and low cost. The Blob Storage Service is designed to be highly available with a 99.9% SLA for normal storage and 99.99% SLA for RA-GRS replicated storage. LRS storage stores three replicas of your data in a single region to protect against disk, node and rack failures. ZRS is similar to LRS but splits the data across two datacentres in the same region. This makes the data more resilient over simple LRS, which is the default option. GRS stores six replicas in two different regions (e.g. North and West Europe) to protect against major regional disasters as well. 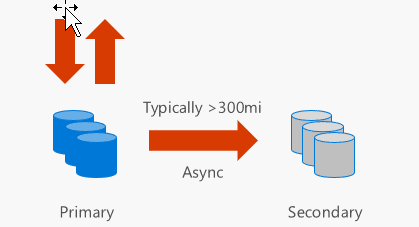 Replication to the secondary region is performed asynchronously. It’s important to note that there’s a cost associated with the data transfer operation between different datacentres. Finally, RA-GRS provide read-only access to the secondary storage through an accessible endpoint to allow for load-balanced queries. This can be extremely useful for geo-replicated applications that need to have quick access to blob storage data without having to deploy a Content Delivery Network (CDN). Similarly to GRS, there’s an associated data transfer cost for data that is replicated across different datacentres. Block blobs are designed for object storage, such as documents, images, video, Click-once solutions etc. It’s highly optimized for sequential access. Each blob is made up of a series of blocks each of which is identified by a block ID. Blocks can have different sizes but the maximum size is 100MB and the maximum number of block blobs can be up to 50,000MB. Consequently, the maximum Block Blob size is 4.75TB (up from 1TB max up until recently). If you’re using the REST API, the sizes are different and the maximum blob size is 195GB. Append blobs are very similar to block blobs, in that they are comprised of blocks but they are highly optimized for ‘append’ operations. New data is only appended as blocks at the end of the blob (hence the name). Append blobs don’t allow deleting or updating of existing block blobs. The maximum size of a block append blob is 4MB and the maximum size of an append blob is 195GB. This type of blob is ideal for multi-writer append-only scenarios such as logging or big data analytics output. Page blobs are optimized for random read and write operations. In contrast to the elasticity of the previous block and append blob types, page blobs are initialized with a maximum size or capacity and they can’t grow bigger than that. Page blobs consist of 512-byte pages so when you add or update the contents of a page blob, you write the data by specifying an offset and a range that align with this 512-byte boundary. The maximum size of a single write operation can be up to 4MB. The maximum capacity of a page blob is 1TB. 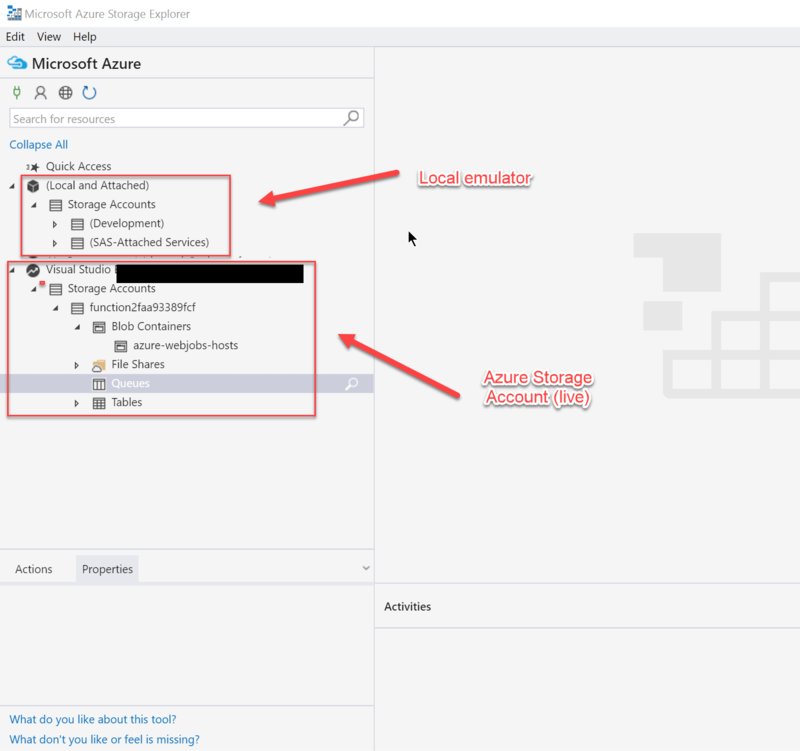 Because page blobs are what we use today when we attach a data disk to an Azure Virtual Machine and because this 1TB is fairly limited, there are plans to significantly increase the maximum page blob size. This will align nicely with current enterprise needs for larger disks, especially from a backup and disaster recovery perspective. Azure Site Recovery is an invaluable service for DR and HA but the limited page blob size has been an issue preventing many companies using it because they tend to run VMs with much larger disks. It’s extremely exciting that this limit will be lifted very soon. Like everything else on Azure, there are specific naming conventions when it comes to naming blobs and containers in a Storage Account. To begin with, the Storage Account name needs to be globally unique. The Storage Account URI that gets generated, contains the account name only, for example https://myaccount.blob.core.windows.net. Name must start with a letter or number, and can contain only letters, numbers, and the dash (-) character. Consecutive dashes are not permitted in container names. Names can be between 3 and 63 characters long. Blob name can contain any combination of characters. Blob names can be between 1 and 1,024 characters long. For high-performance, low latency disk support, you can choose Premium Storage. Unlike the Standard SKU, premium storage stores data on solid state drives (SSDs) which can deliver up to 2000 MB/s in terms of disk throughput with extremely low latency for read operations. This service is geared towards infrequent access and it is designed for the purpose of archiving data, such as database and VM backups. The API and SDKs between hot and cool storage are identical, making it easy to work with either offering but cool storage comes with a significantly reduced cost. The only caveat is that you don’t access the data as frequently. If you do, then the cost for reading data is higher. In terms of SLAs, throughput and performance the two services are also identical. The maximum supported blob size in the emulator is 2 GB. ‘Incremental Copy Blob’ can be used to copy snapshots from overwritten blobs but this will return a failure on the service. ‘Get Page Ranges Diff’ does not work between snapshots copied using ‘Incremental Copy Blob’. A ‘Put Blob’ operation may succeed against a blob that exists in the storage emulator with an active lease, even if the lease ID has not been specified in the request. ‘Append Blob’ operations are not supported by the emulator. 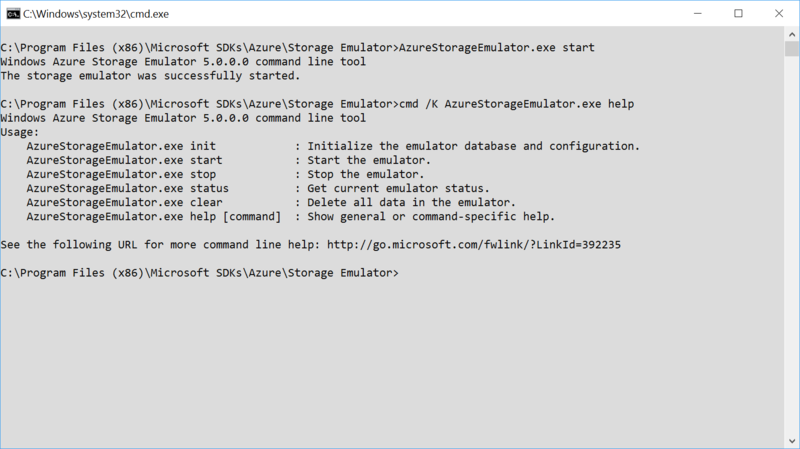 Azure Blob Storage is one of the most versatile and heavily deployed services on Azure: It allows for easy decoupling and storage for your application and backup data at a fraction of the cost of on-premises storage. Because you pay only for the data used, it’s flexible and can scale as your operations and your needs evolve. Next, we will look at Azure Storage security and how you can leverage the various Azure ARM features to secure access and enhance data integrity.